Have you visited the land down under? Many people who visit the place are speechless about the mesmerising and captivating beauty of the country. They leave the place with a fulfilled feeling and a promise to go back again as soon as they can. So if you haven’t visited the place, maybe it is time that you make some plans now. A trip to Oz isn’t that expensive too! There are plenty of airlines that offer airfare discount promo codes. You can even ditch staying at pricey accommodation by renting and driving RVs/campervans all around the Gold Coast. Heck, some rental companies rent out RVs at only 5 dollars per day thru their campervan relocation promos. 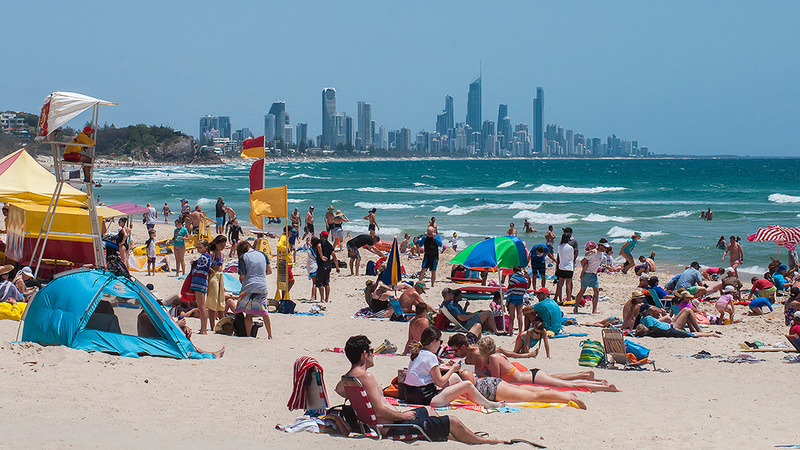 So there’s no excuse not to visit the Gold Coast and scratch it off your bucket list. Explore the beautiful beaches that can be considered among the bests in the world. Gold Coast boasts some really spectacular beaches that will never disappoint you. You can relax in the fine sands and enjoy the sun while having Pacific Ocean as your view or you can also go for some surfing adventure. Australia is popular for really great surfing spots like the Surfers Paradise. Gold Coast has 57 kilometres of coastline that you can explore with different activities to try as well. It is a paradise indeed! Enjoy the theme parks with the kids or even the kid in you. If you’re travelling with the kids then you should include in your itinerary some trips to some wonderful and fun theme parks Gold Coast has to offer. You should visit Australia’s Sea World, Warner Bros Movie World, White Water World, Ripleys Believe it or Not! Odditorium and many more others. The kids will definitely love it and even the kid within you will definitely have a great time too. Another thing to do during your trip to Gold Coast is to stroll through the rainforest on the Tree Top Walkway. It spans nine suspension bridges that will put you in the midst of canopy and beautiful plants, flowers and birds will surround you once you reach the Observation Deck, which is 30 metres high. The Tree Top Walkway is free so it makes everything a lot sweeter. Shop at the best markets and boutiques. If you love shopping then you should visit the markets and boutiques in town. You can check out the Carrara Markets with 500 stalls of great finds. Free entertainments are also available during weekend visits. You can also visit the Harbour Town outlet mall for some amazing bargain deals that will surely make you go crazy. Lastly, you can try some adrenaline-pumping activities that will give you a different kind of high and rush. You can try skydiving, modern bungy jumping, scuba diving, mountain climbing and other activities that you don’t normally do in your daily routine. Trying out these activities will give you extra confidence in yourself.